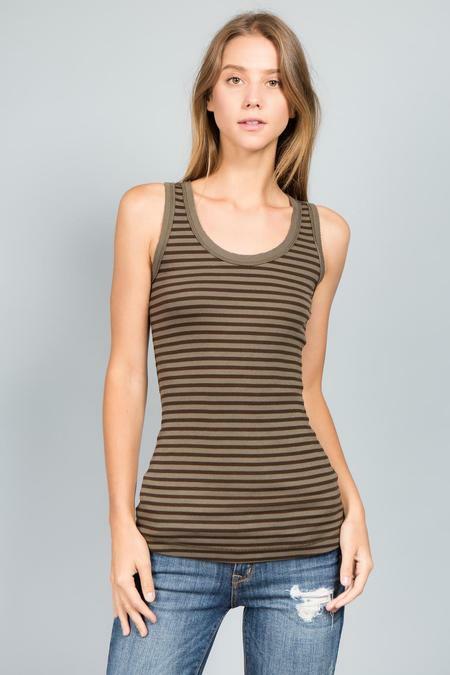 Classic Clean Binded Scoop Tank. The same cut as out famous Tiburon tank except the binding has a 3/8" clean finish for a real sleek and classic look. The back neck line has a sexier lower scoop drop than the tiburon tank so it does make it an important top to have in your wardrobe. Made with our signature luxe rib fabric and our proprietary DNA spandex for a natural stretch and great recovery. Model is 5'9 wearing size small with 26" length.